A hoax claiming a suspect had bombs and a family under hostage led to police and a SWAT team startling a Bungie executive in his home. An unnamed executive at Destiny developer Bungie is the latest victim of a swatting incident. Around 4 am on Thursday, a police helicopter and a SWAT team startled residents of Sammamish, Washington. Someone called the police, saying he had an assault rifle, explosives in the yard, and a family held hostage. 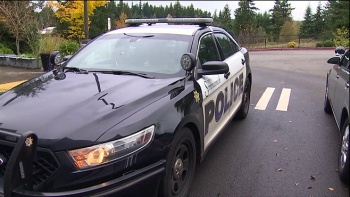 Nathan Elledge, chief of police at the Sammamish Police Department, told KOMO News the caller demanded $20,000 before he would release the family. Elledge said the police department responded to this call as if it were an in-progress hostage situation. However, the call was a hoax. The police found a confused Bungie executive in his bathrobe, though it took police nearly an hour to determine there was no threat. Police believe the caller has ties to the video game community. Deputy Jason Houck from the King County Sheriff's Office suggested the suspect could be "a contractor for his work or someone at his work who didn't have a great experience with him." A Bungie spokesperson said the unnamed executive "is okay and didn't want to discuss the incident." This is not the first swatting incident in gaming; this year there have been several stories where Call of Duty or Counter-Strike players were the targets of false reports. The caller claims to be the person they're targeting and issues a dangerous threat. The caller is also able to trick dispatchers into thinking the call is coming from a different location. "[Police] haven't been able to unravel the knot of where it comes back to," Houck said of this case. Finding the caller is difficult. If caught, the person responsible could go to jail for up to one year and pay a $5,000 fine. "This is not a game. This is a very serious response that could've had serious consequences and we're just fortunate that didn't happen this time," Elledge warned. "It puts officers' lives at risk when you respond to something this serious. It puts the citizens' lives at risk."